Between World No. 177 tommy has will at 4th round of his first Stuttgart ATP tour (Germany). And the 4th round match will be against Bernard Tomic, which will be the 3rd head to head among them. Their all previous match was at 2012. 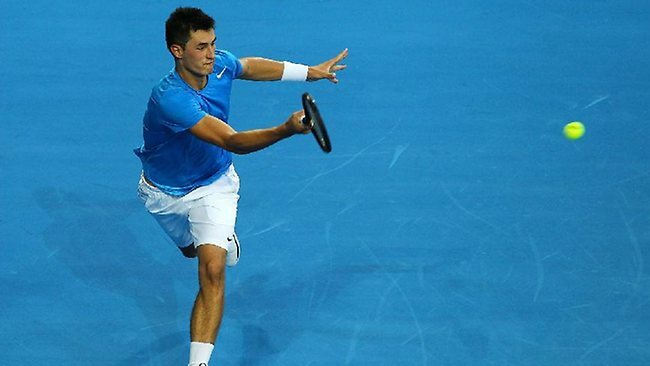 Bernard Tomic was won at the first match and in the second match he was take retiredfor his knee injury. 37 years old Tommy Hass was the former no. 2 which was at 2001 and he have just 3 grand slam appearances. Most recent matchfor Hass was vs. Mikhail Kukushkin and won by 6-4, 7-5 points. And 22 years old Tomic’s most recent match was vs. Jan-Lennard Struff on the current tournament and won by 6-3, 7-6 (5) points. Tommy Hass started his career with ATP tour at 1996 and played his Grand Slam at 1996 US Open. On 1999 Hass have won his first ATP title and in the same year he was the finalist at Australian Open and won Silver Medal at Sydney Olympic. As per his consecutive performance at 2002, Haas riches his career best ranking of 2nd place. After his 1999 US grand slam appearances, Haas never played any Major tournament. In his 16 match of career grand slam, have 12 wins and 4 defeats so far. This Australian is now in his career best position and just finished his France Open fron 2nd round. He have a Wimbledon quarterfinals appearances at 2011. So far in his 21 Grand Slam appearances have 26 victories against 21 defeats. Career Titles: 2 Career title.